Easter represents hope, renewal, and life. It is a time of new beginnings, everlasting happiness and unexpected miracles. At Mercy Southwest Hospital’s Neonatal Intensive Care Unit (NICU), our nurses and physicians witness miracles every day. What would be an everyday occurrence for a healthy baby is a celebrated milestone for those in Mercy’s NICU. It is here that our tiniest and most vulnerable patients will spend the first days of their lives. Some will be with us a few days while others may spend several months. This highly specialized unit provides the highest level of care not only to the miracle babies but also for the parents who count down the days until they are able to take their newest love home. Caring for our NICU babies requires a delicate and loving touch. This, coupled with highly specialized technology is what allows these babies to grow strong each day in preparation for their trip home. Won’t you please consider a gift to Mercy Hospital’s Neonatal Intensive Care Unit? You will make an impact on the life of a baby in need, while also bringing peace of mind to parents, grandparents, sisters and brothers during one of life’s most joyous times. 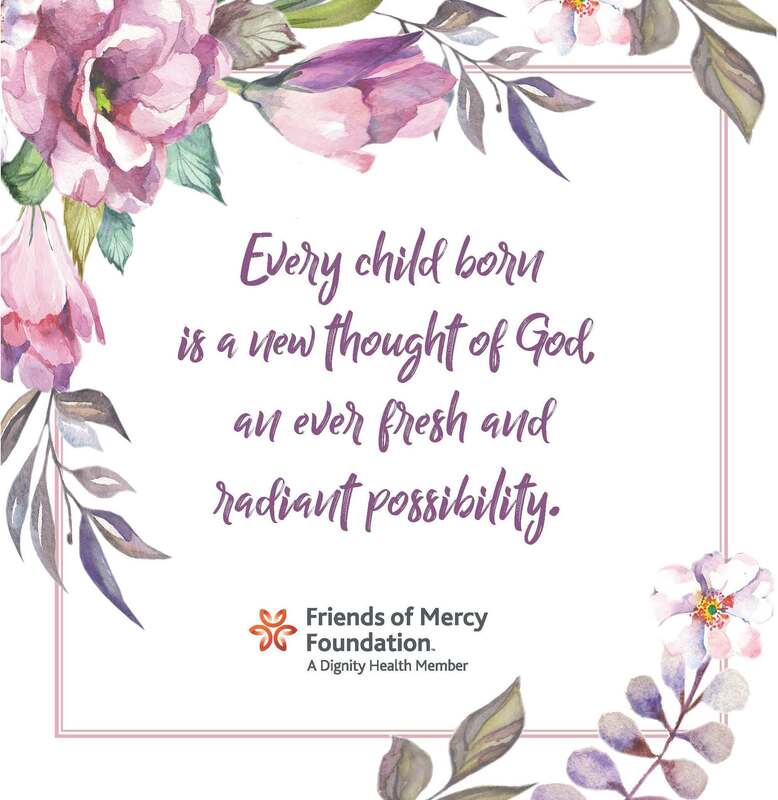 Click here to make a gift to this year’s Easter Appeal in support of Mercy’s Neonatal Intensive Care Unit. Include the names of your loved ones in the comments section and we will forward your prayers to our local Sisters of Mercy who will pray for them and your intentions during this Easter season. Mercy is dedicated to furthering the healing ministry of Jesus Christ by caring for and supporting all who visit our hospitals. May your Easter season be filled with gratitude and unexpected miracles.